For those who can’t afford a 2018 Chevrolet Camaro SS 1LE, the internet allows passionate fans of the track-ready sports car a catharsis. YouTube allows enthusiasts to experience the latest and greatest cars the automotive world has to offer, giving many a driver-seat view over a long hood as the car tackles some famous race track that requires a passport to visit. The cars that garner the most attention online are those of rare and exotic supercars worth hundreds of thousands of dollars or more. However, that doesn’t mean every car online is out of reach of the common man. While the 2018 Chevrolet Camaro SS 1LE isn’t cheap, it doesn’t command an astronomical price, either, making the idea of owning one an achievable dream. Until then, though, watching one driven by Randy Pobst around the Streets of Willow is thrilling. 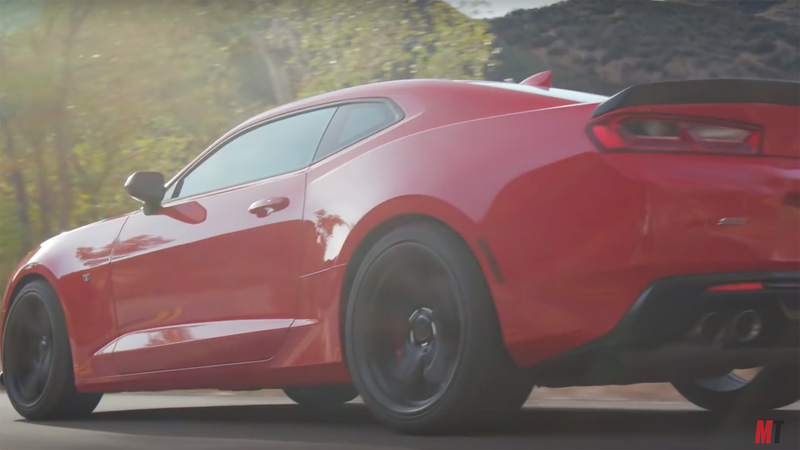 The Chevrolet Camaro SS with the 1LE package blends the Camaro’s high-performance powertrain with a host of accessories designed to make it handle like a dream on the race track. Under the hood is the 6.2-liter LT1 V8 engine producing 455 horsepower. It pairs with a six-speed manual gearbox with Active Rev Matching, which helps make even novice drivers feel confident in their driving ability—for better and worse. The 1LE package adds an electronic limited-slip differential with a 3.37 ratio. Engine oil, differential, and transmission coolers are included along with a dual-mode exhaust, Recaro front seats as standard, a three-piece rear spoiler, front splitter, and black satin hood. Staggered 20-inch wheels wrapped in Goodyear Eagle F1 Supercar summer-only tires provide grip while six-piston Monobloc Brembo front brakes and two-piece rotors providing amazing stopping power. But for all the added performance the 1LE adds to the already potent Camaro SS formula, the real star is the engine. With the dual-mode exhaust, all eight cylinders pop and crackle like some beast emerging from the depths of hell. The video captures the snaps and snarls of the engine as Pobst wheels the Chevrolet Camaro around the track. Even if at the end of the day it’s a Tire Rack commercial, the video is worth a watch, and a listen. And I’m with Randy Pobst on this one; hands down, the 2016-18 SS 1LE is the best best Camaro of the bunch! I love mine, it is absolutely the best car I’ve ever driven. Someday the 2016-2018 Camaros will be just as desirable as the 68-72 are today, and the original SS 1LE will be the most sought-after of the bunch.